The view as you approach the track on the hill from one mile away. 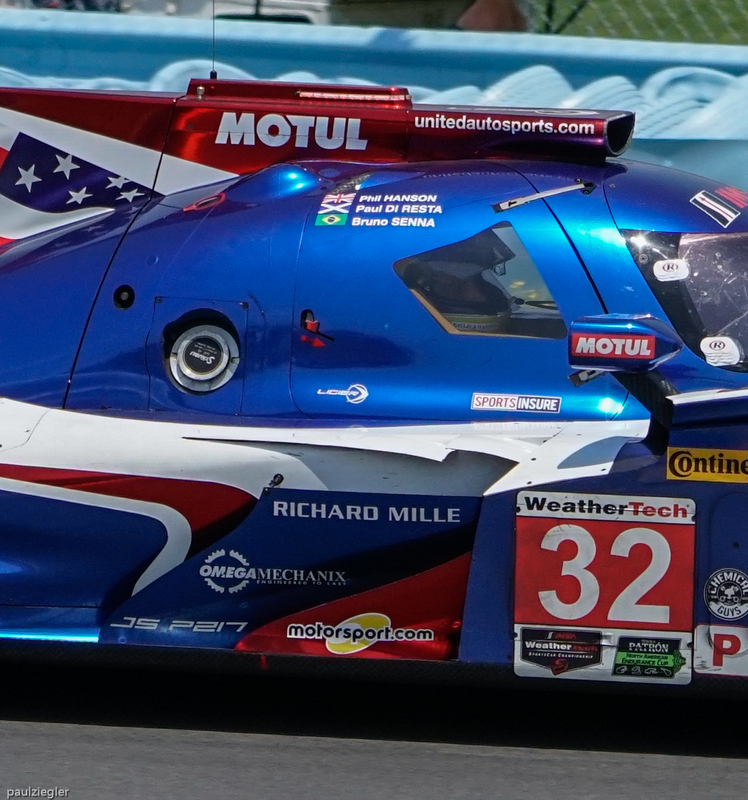 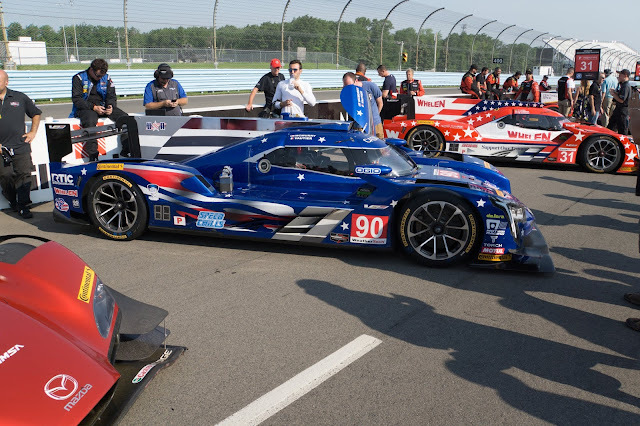 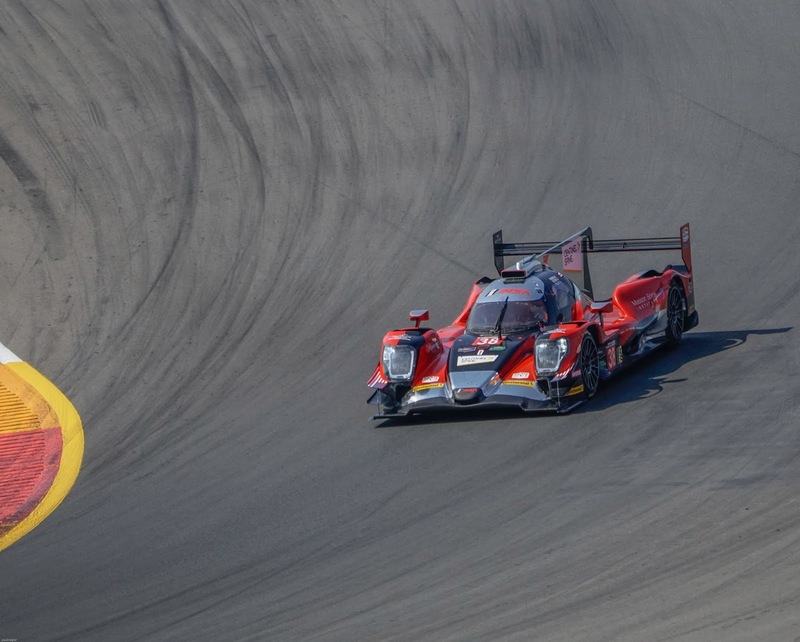 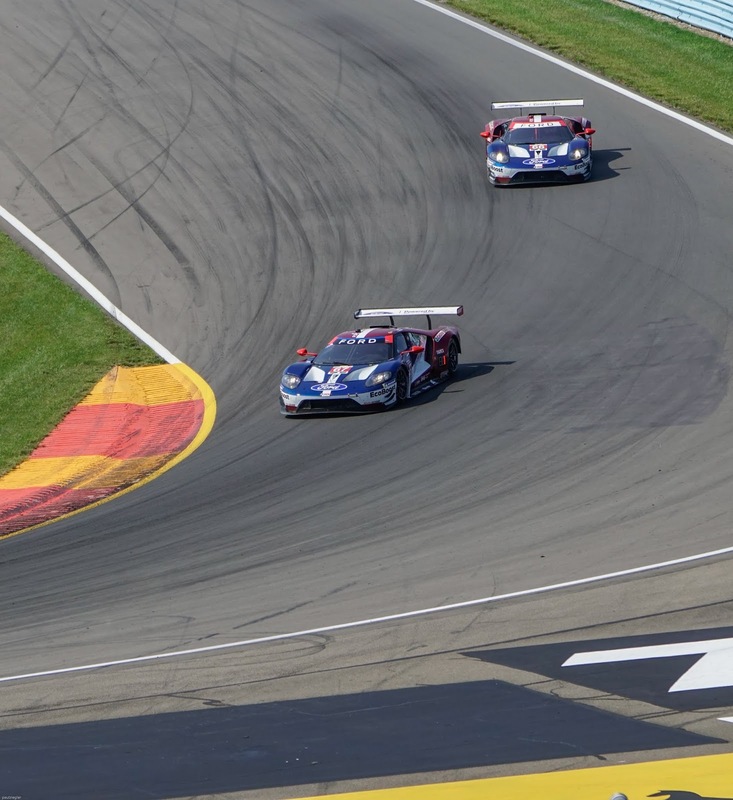 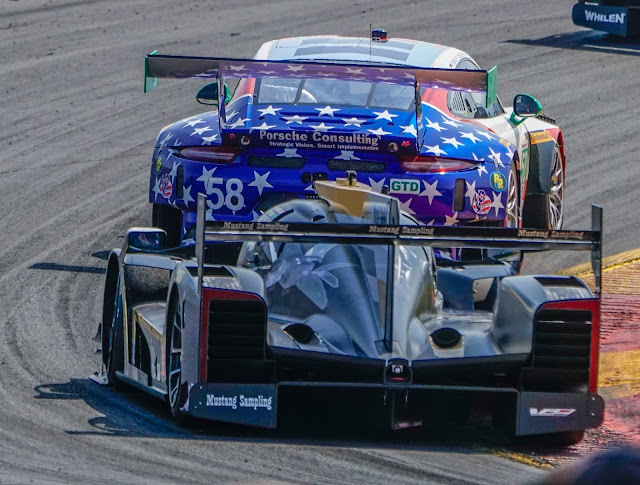 Like brush strokes on a canvass LMP2 Performance Tech Motorsports at the 90. Green grass, yellow daises and a yellow Corvette! 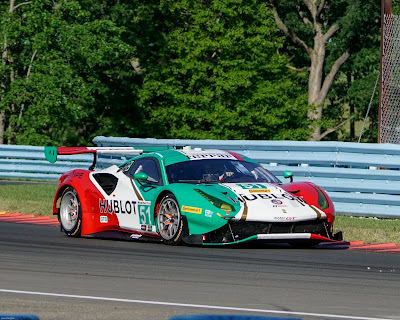 Beautiful Ferrari in red, white and blue for the 4th of July. 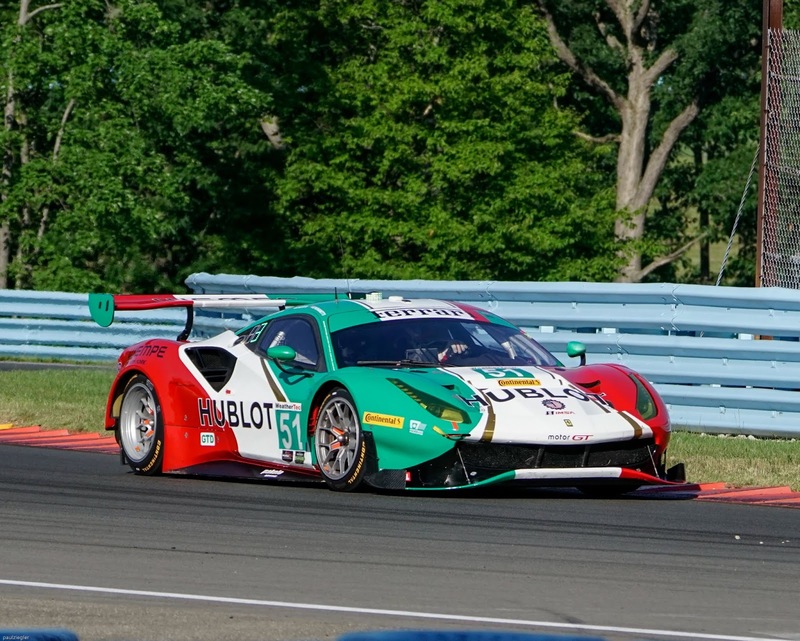 And a Ferrari in Italian flag colors. 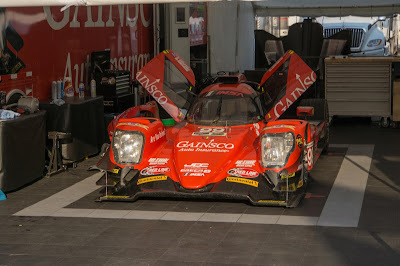 Beautiful Core Autosport LMP2 car. 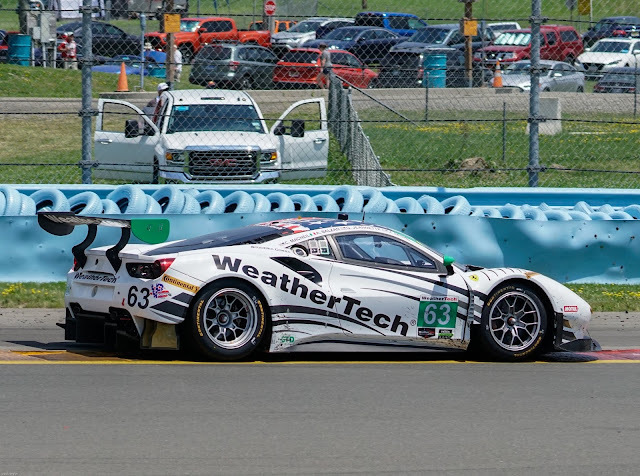 Traffic downhill into the boot. Looking into the cockpit of the United Autosports #32 Ligier P217 at 100 MPH! 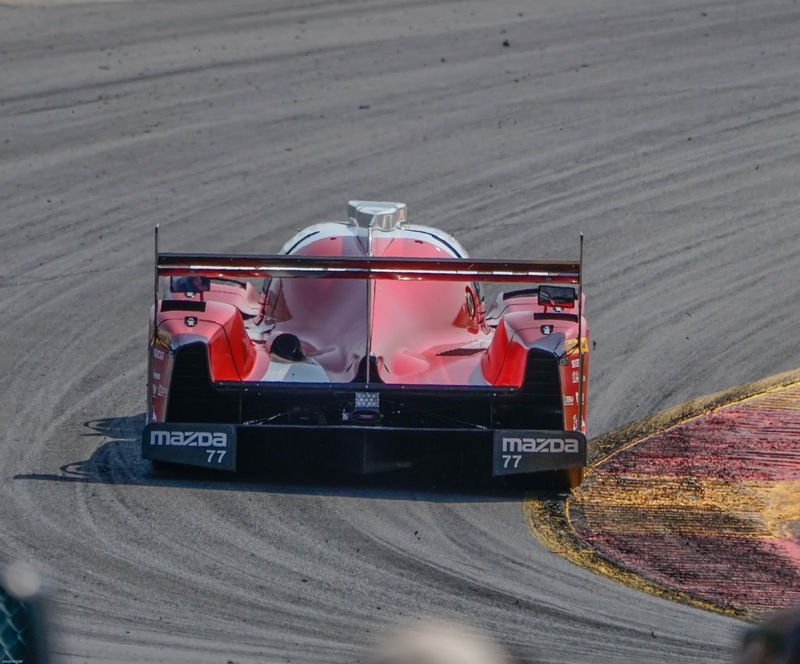 Porsche about to be passed by Mustang Sampling Racing P1 car. Beautiful livery tribute to the troops on Mustang Sampling P1 car. Stars and stripes theme on Spirit of Daytona Racing and the Whelen Engineering Racing P1 entries. 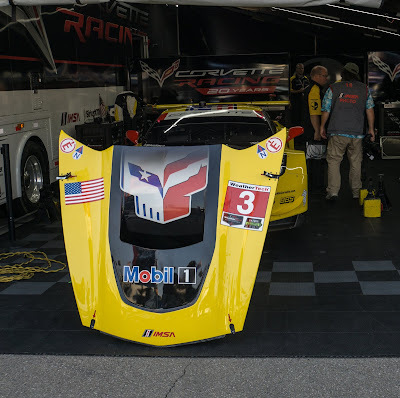 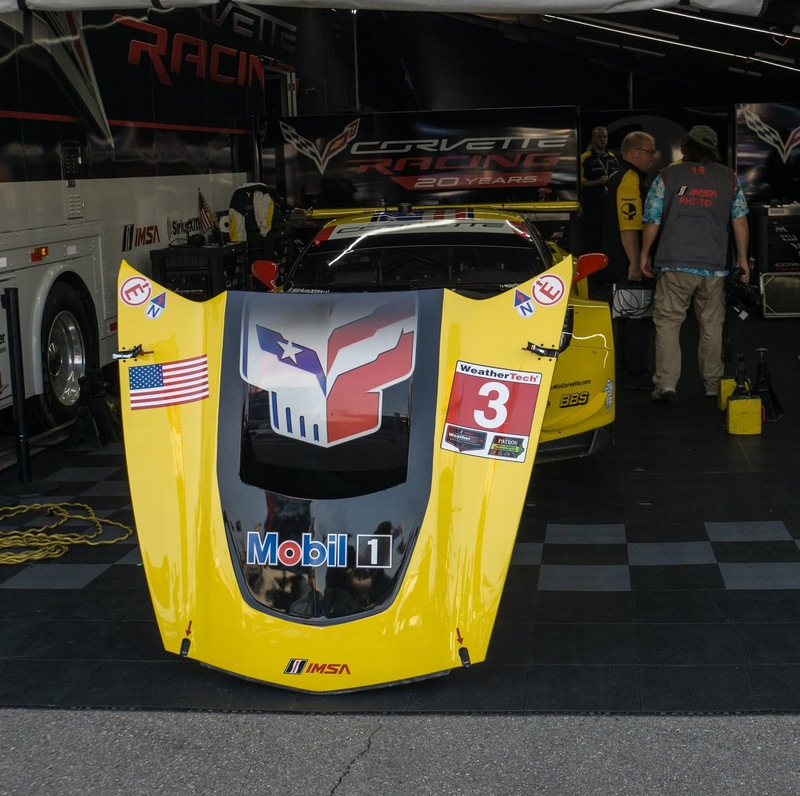 Thank you WeatherTech for your sponsorship of the IMSA series of races. I'm finally back to my desk in Florida after two weeks in Upstate New York. 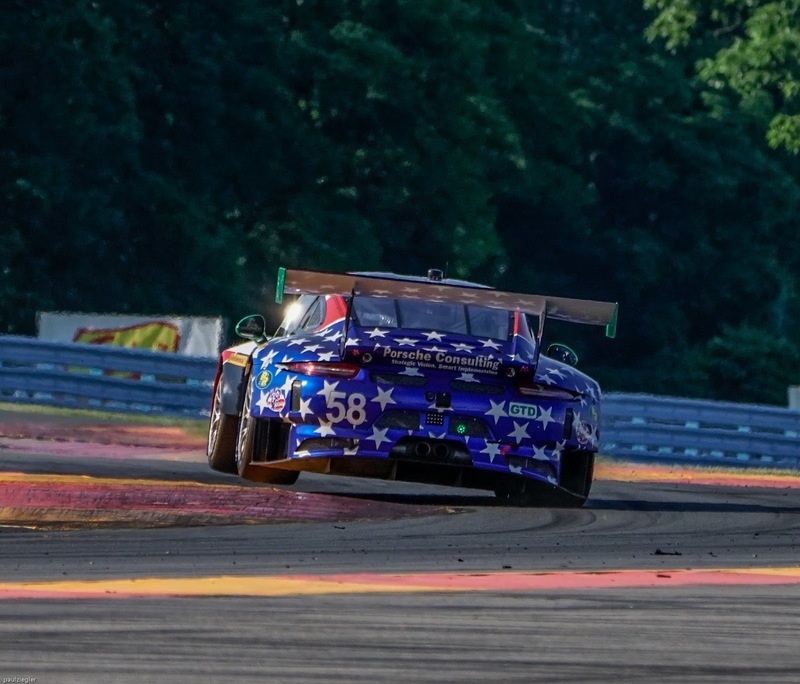 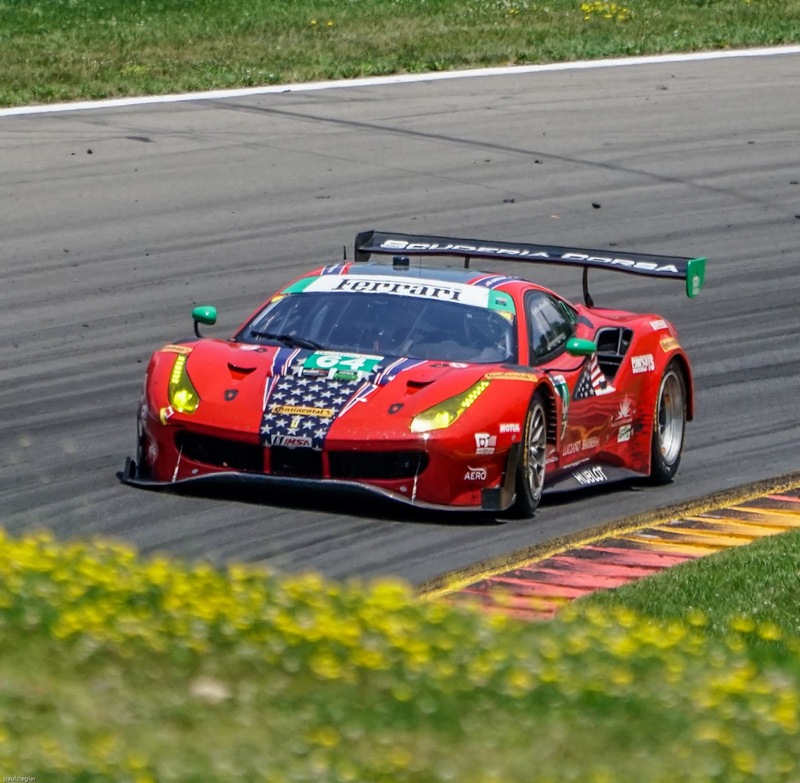 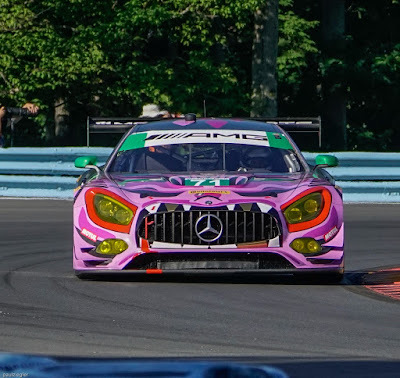 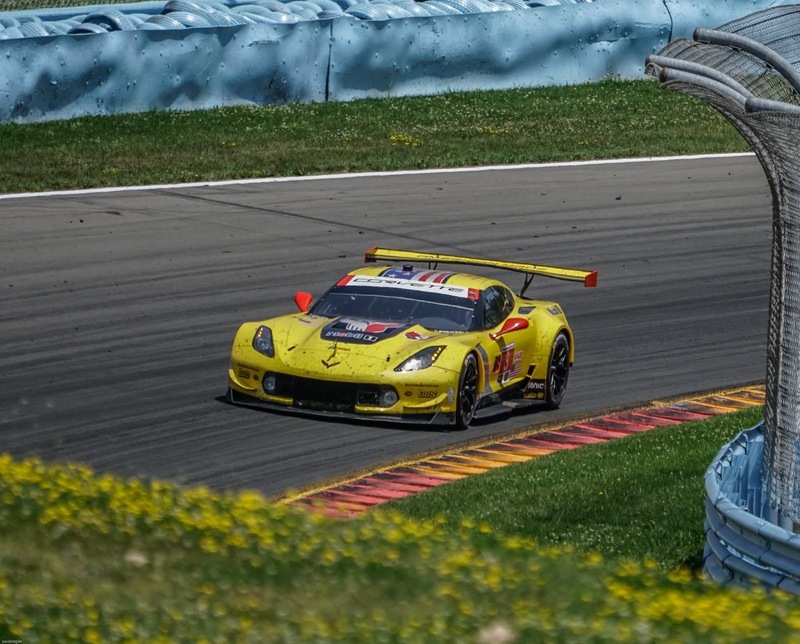 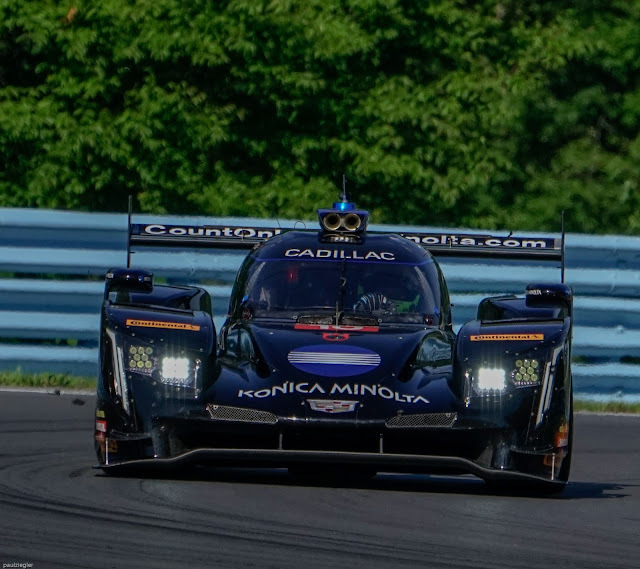 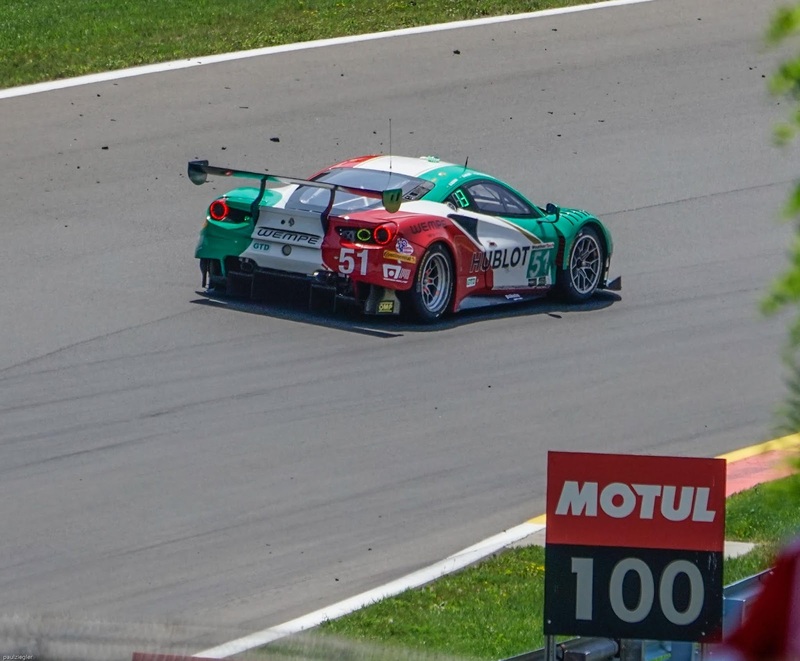 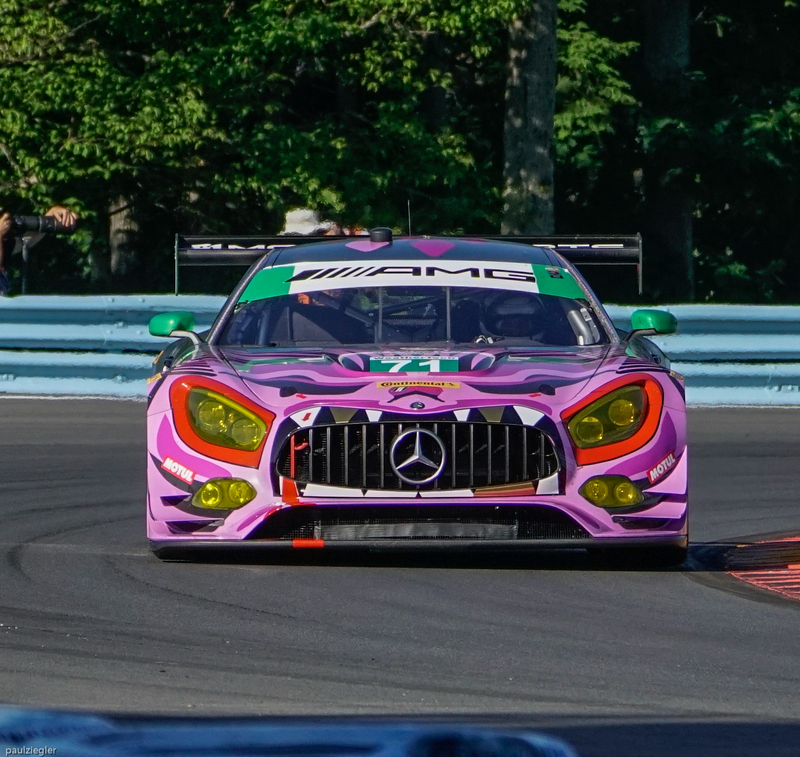 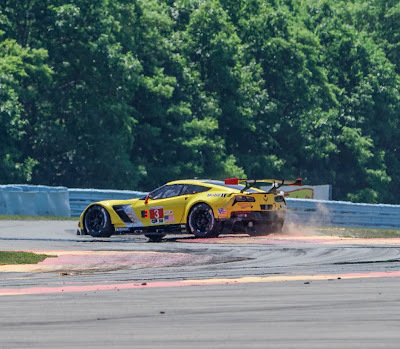 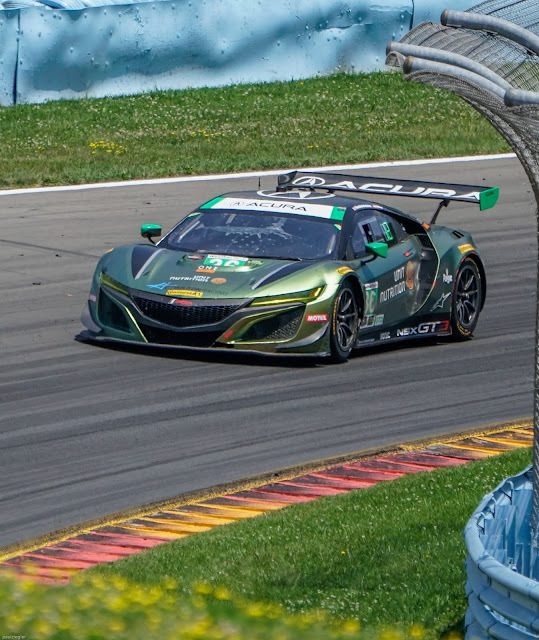 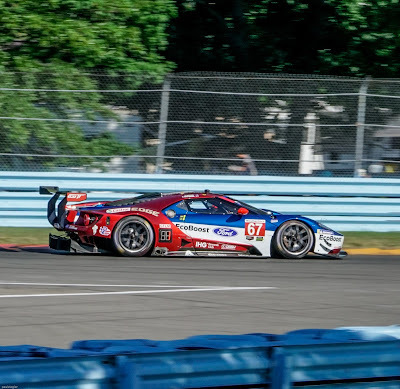 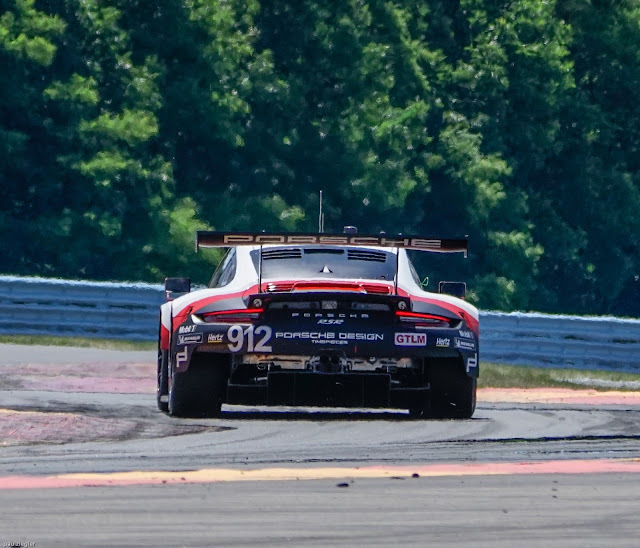 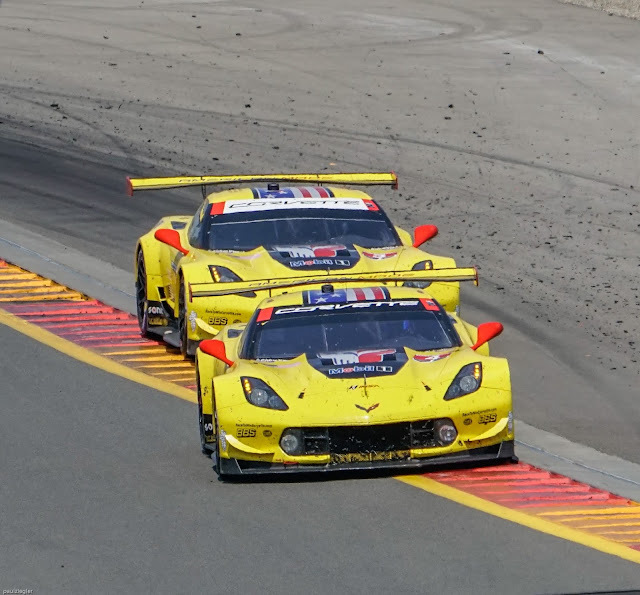 The highlight of my trip was covering the Six Hours of the Glen. 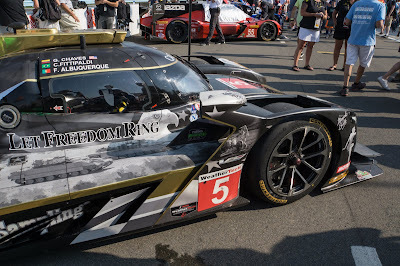 With camera in hand, I bring you these pictures. 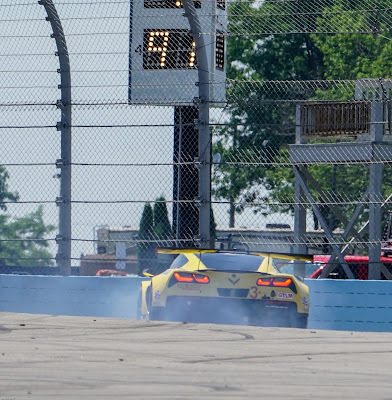 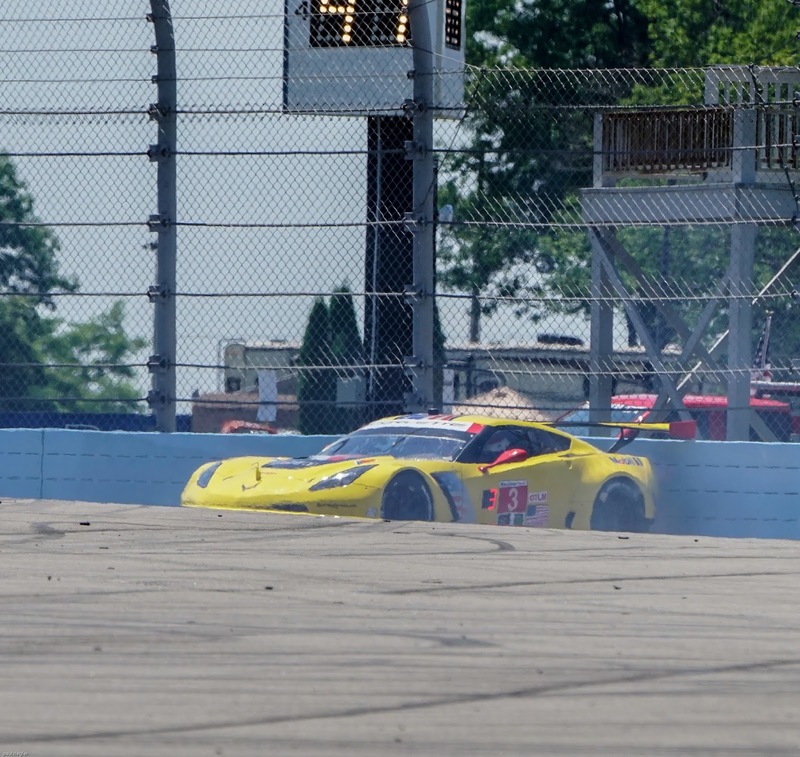 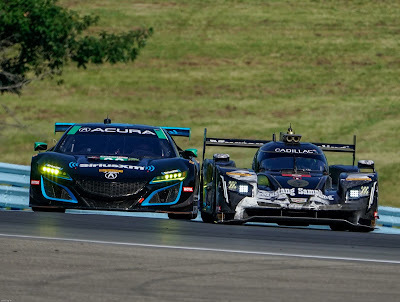 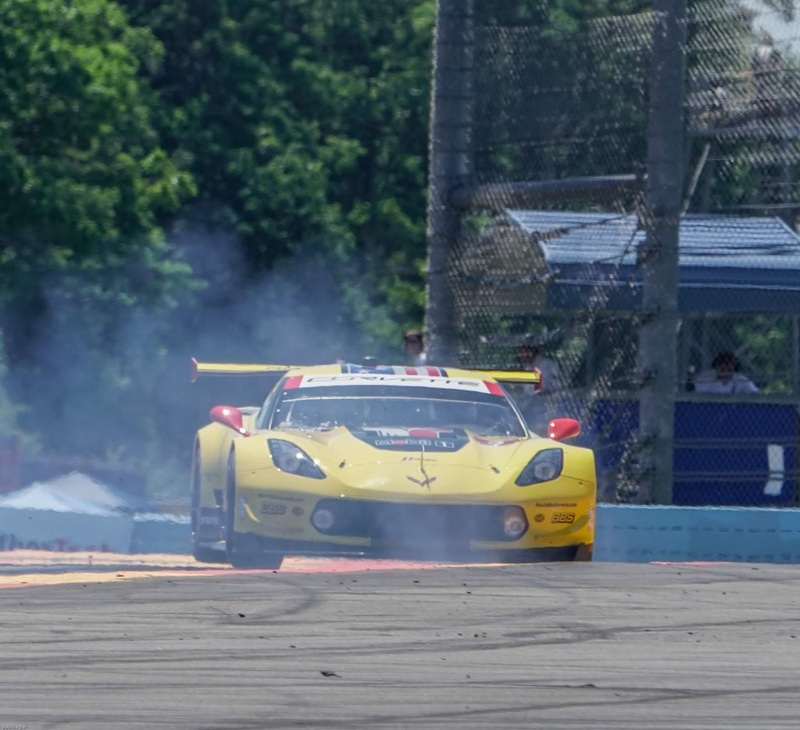 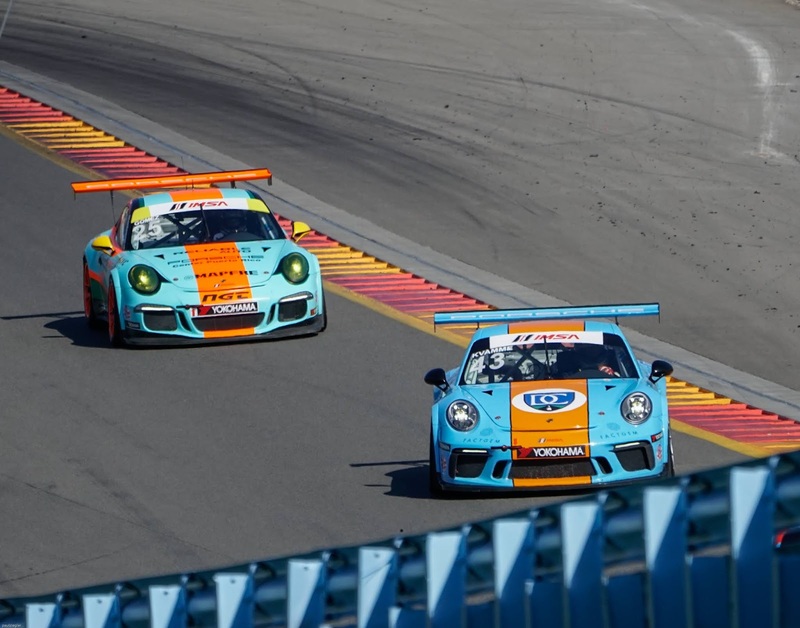 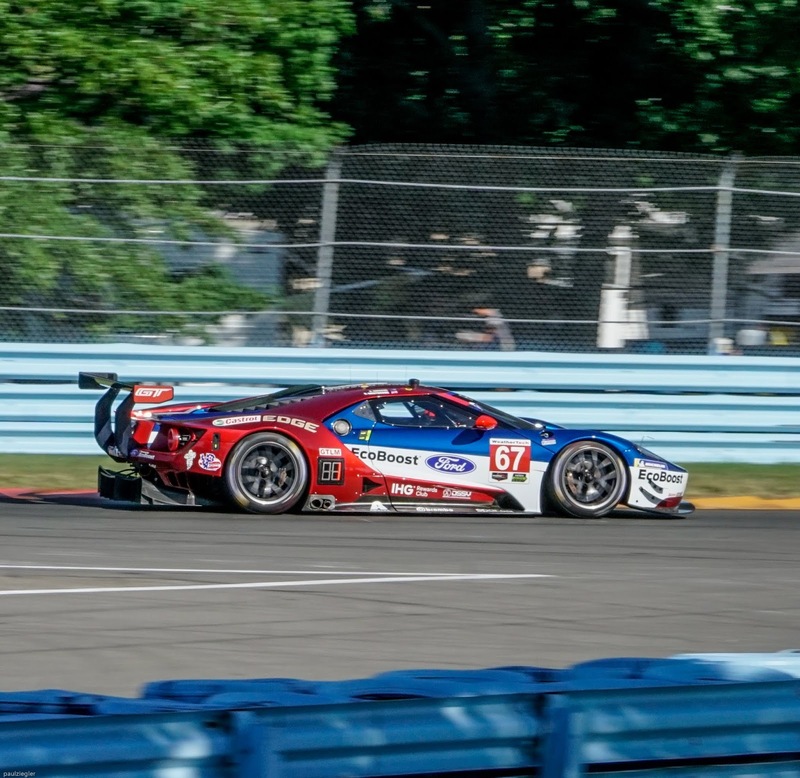 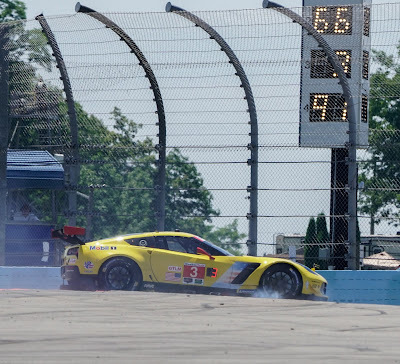 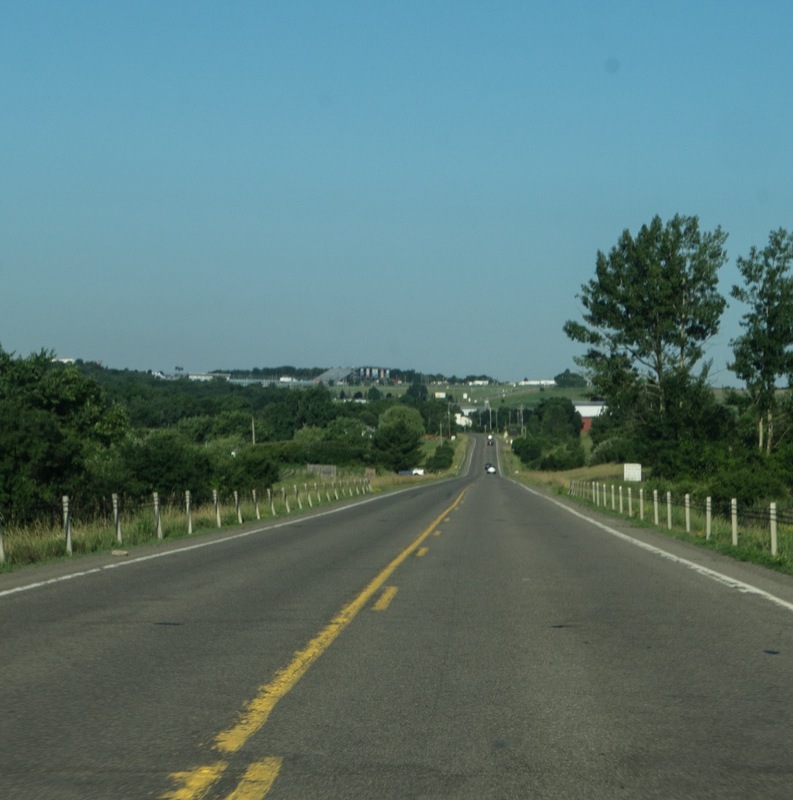 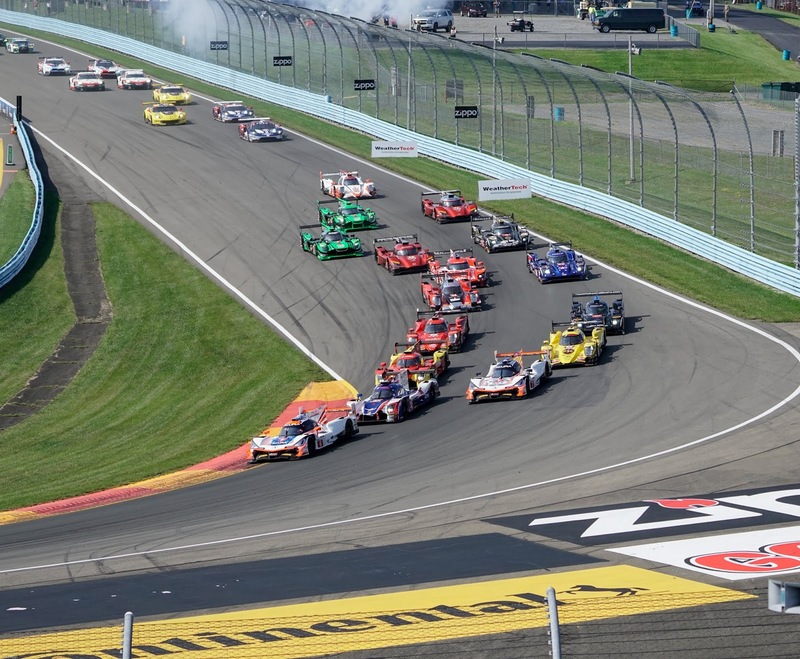 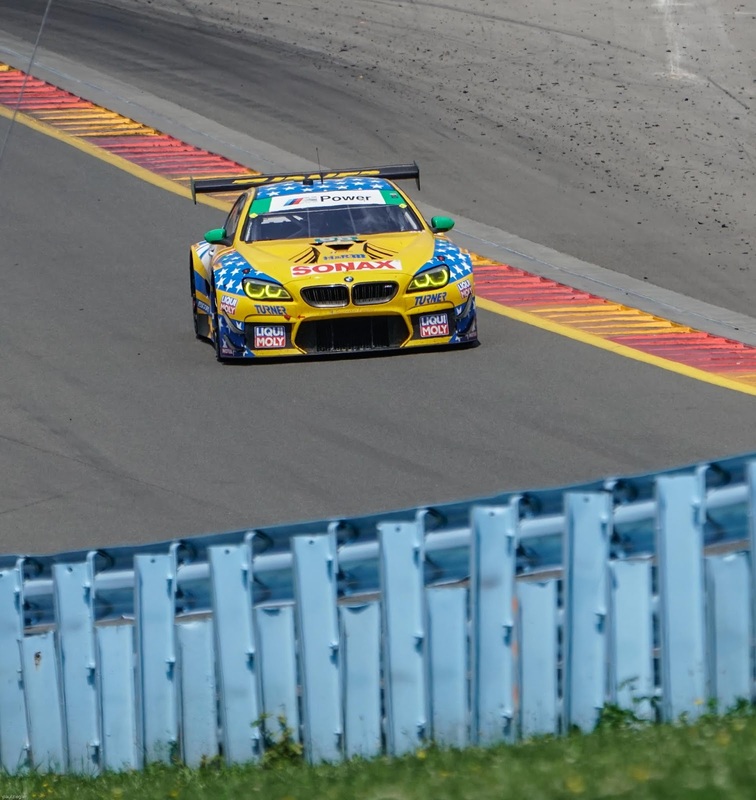 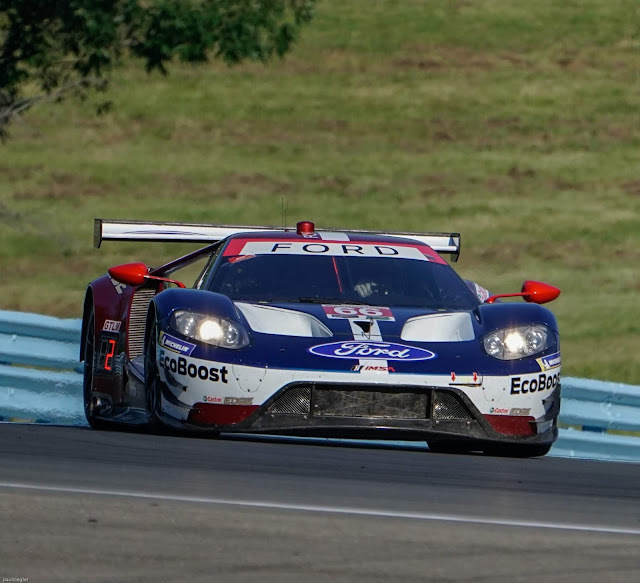 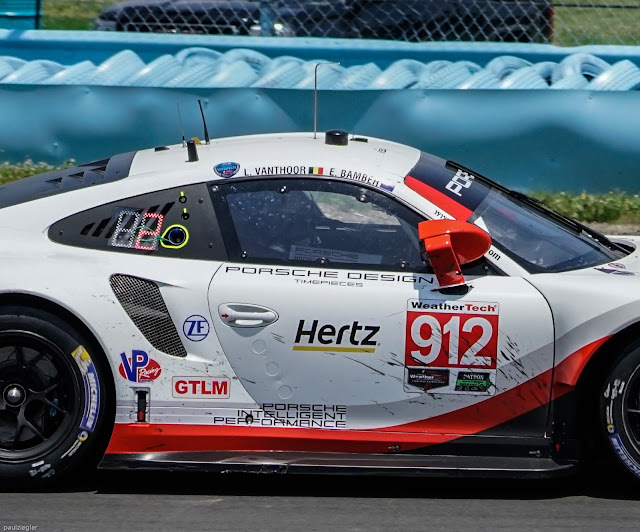 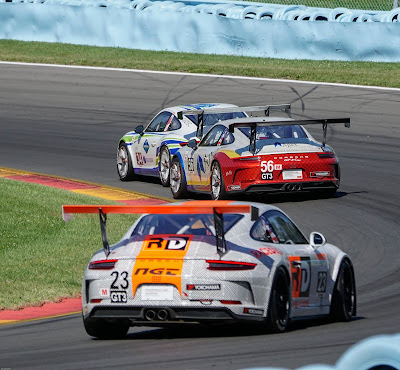 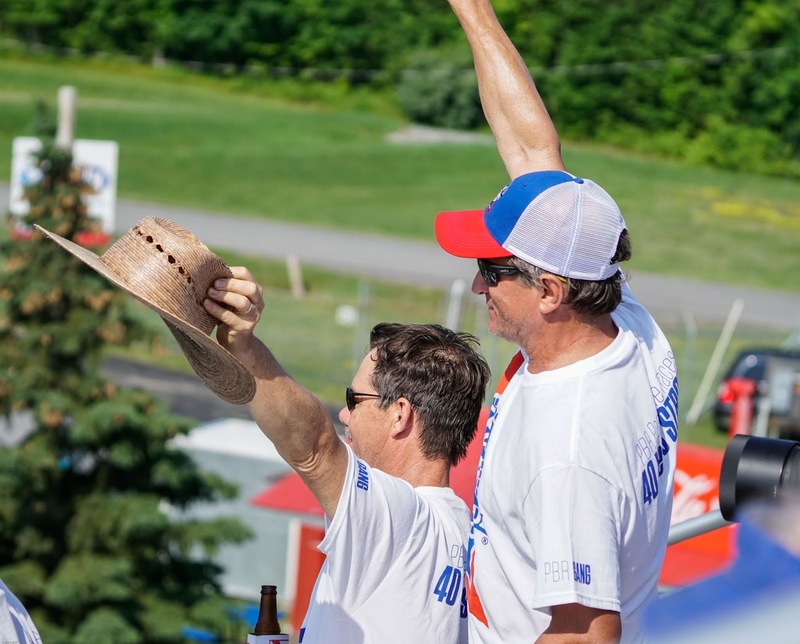 Despite 95 degree heat, Watkins Glen International was like coming home to an old friend. 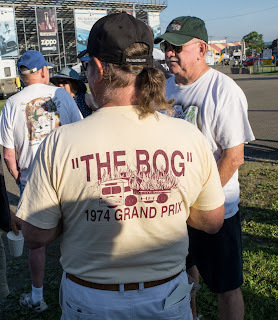 My first attendance there was in 1967, so I consider it home when it comes to racing. 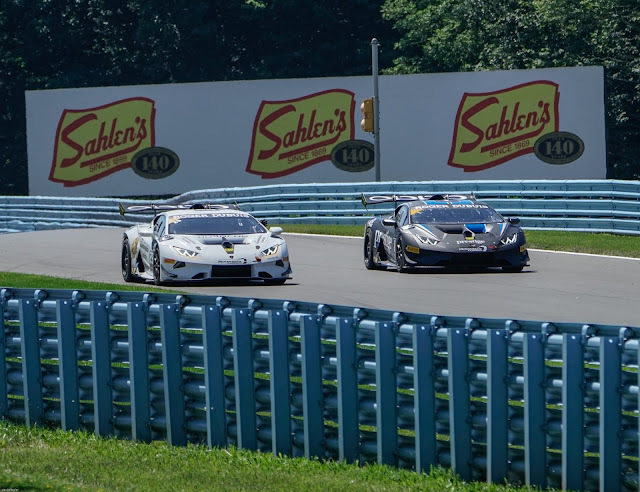 The place is immense covering an entire hilltop and a lot more as its dark grey serpentine strip of asphalt winds some 3.4 miles up and down through sleepy meadows and stately patches of woods that have shaded spectators for decades. 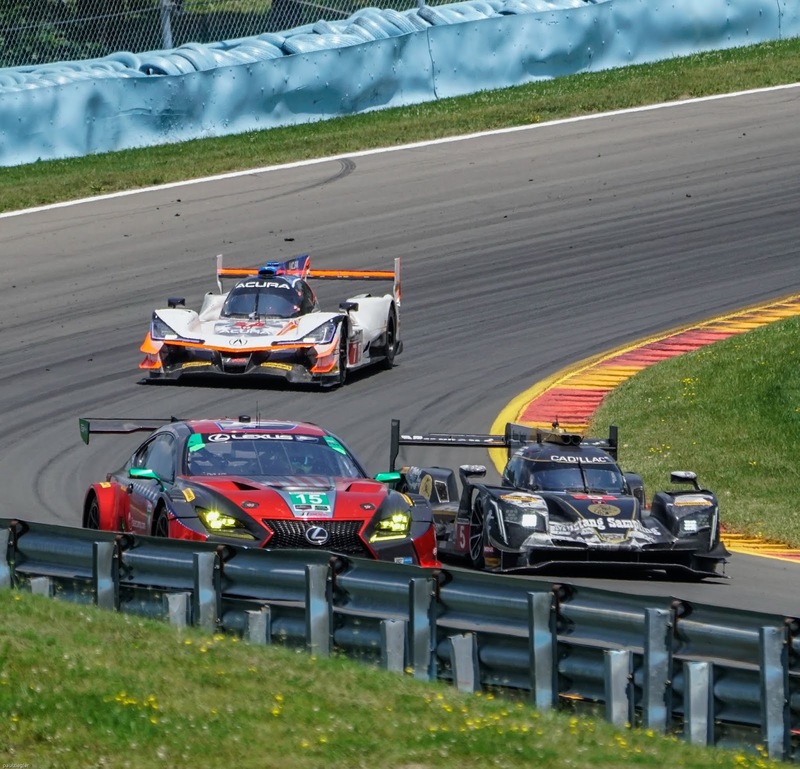 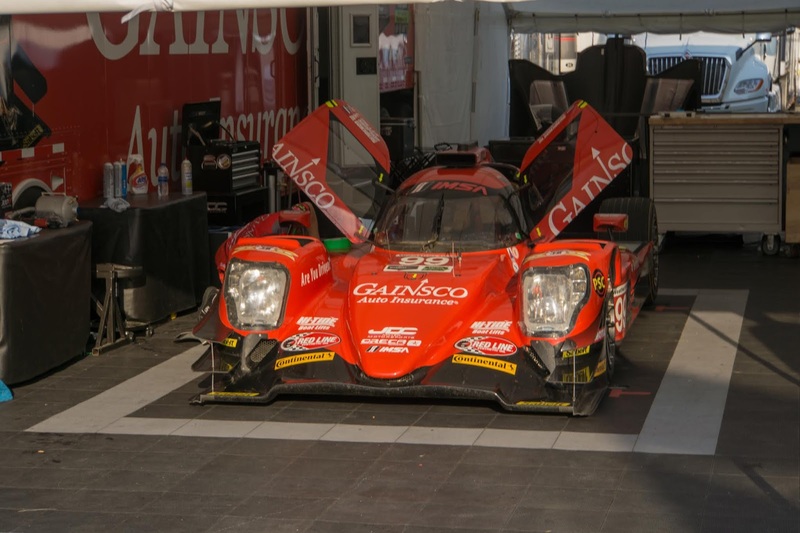 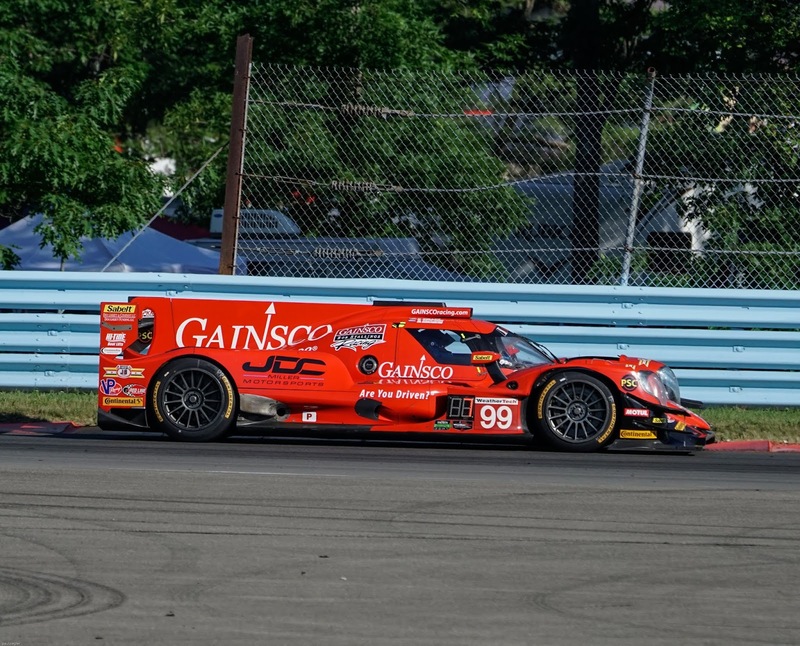 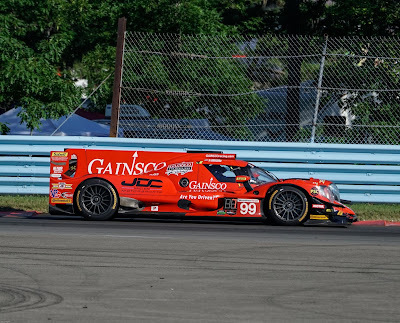 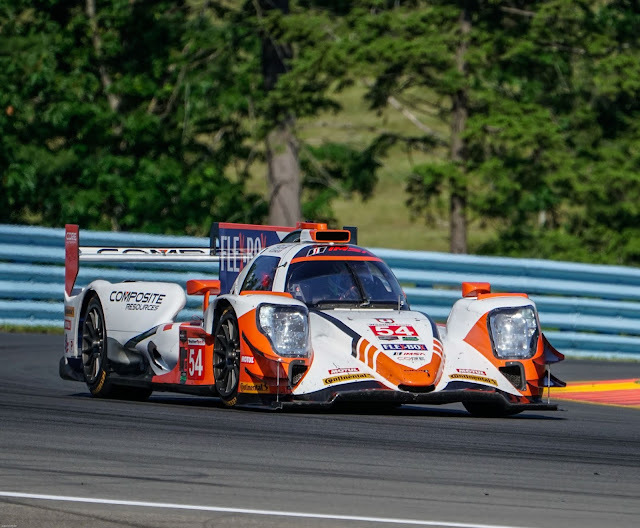 The race saw a deserving team in the winner's circle for the Prototype class; the JDC-Miller Motorsports crew with drivers Chris Miller, Stephen Simpson and Misha Goikberg driving the #99 Gainsco Oreca, an LMP2 car. 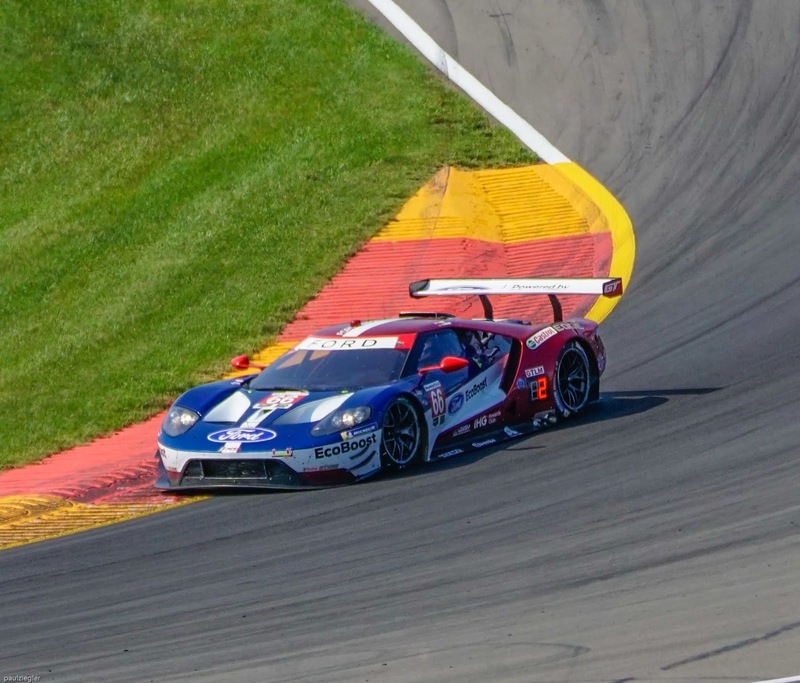 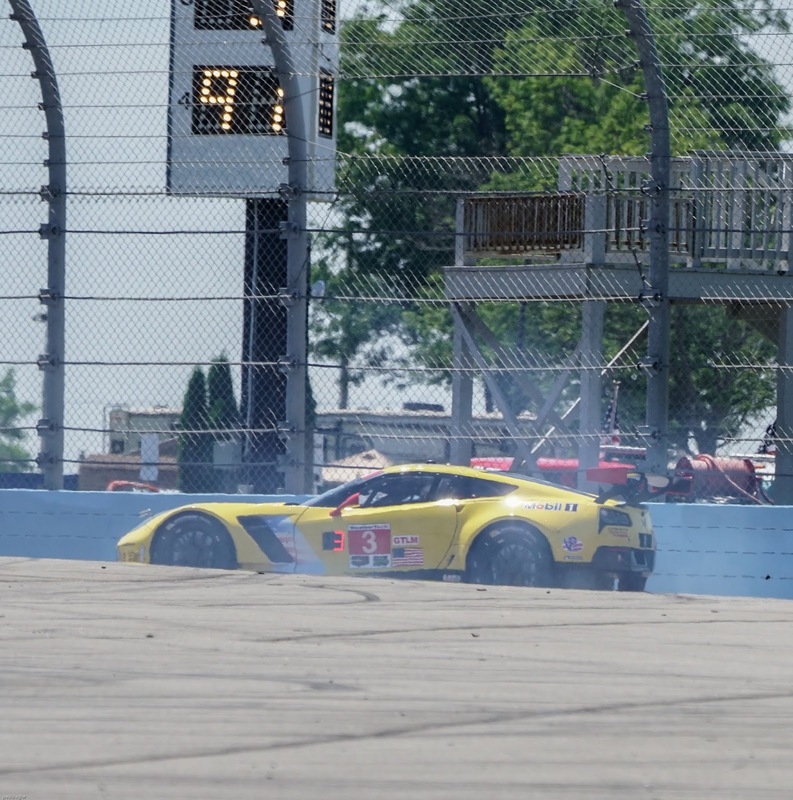 The GTLM class win went to the #66 Ford GT of Chip Ganassi Racing. And finally the GTD class was taken by BMW #96 of Turner Motorsports. 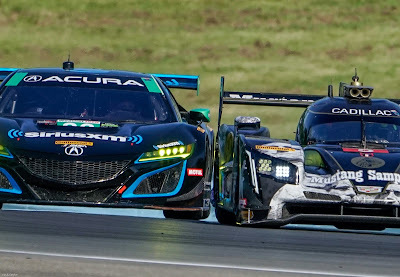 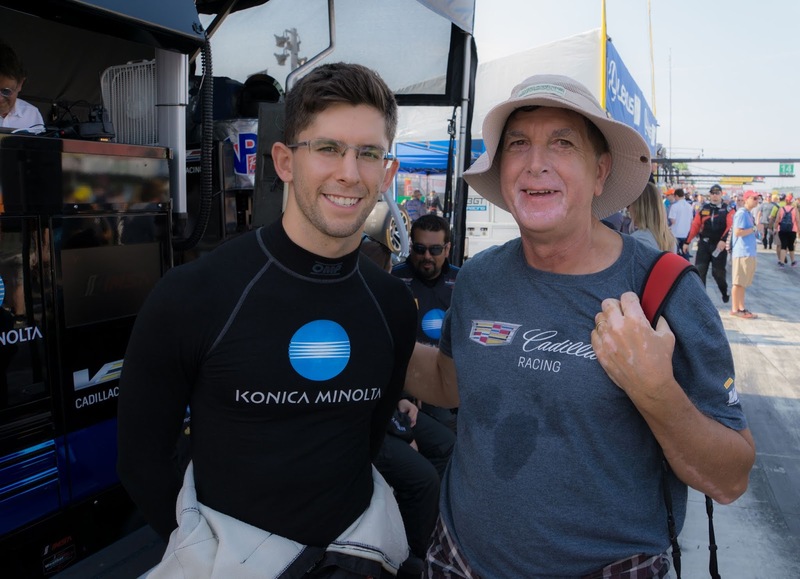 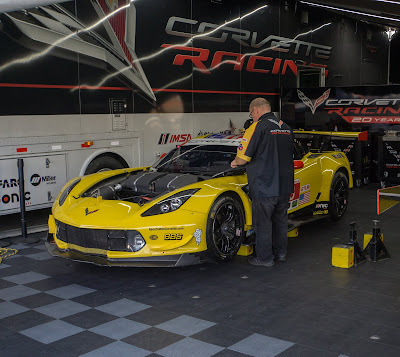 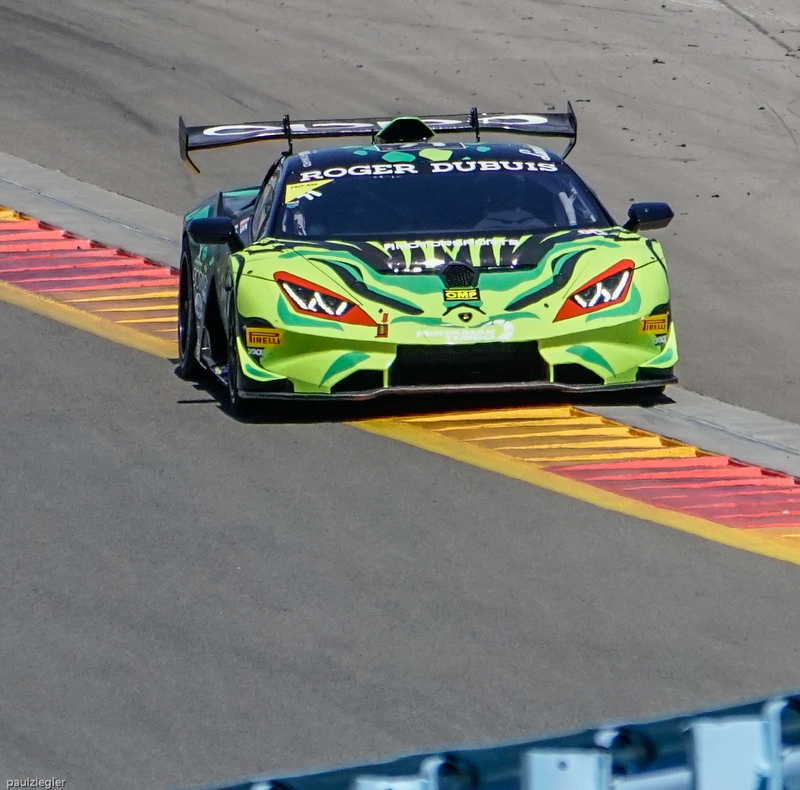 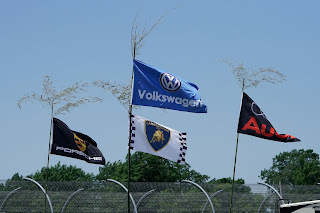 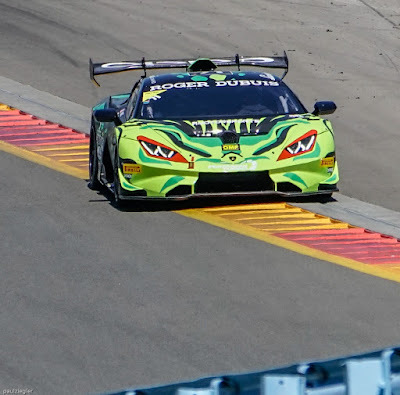 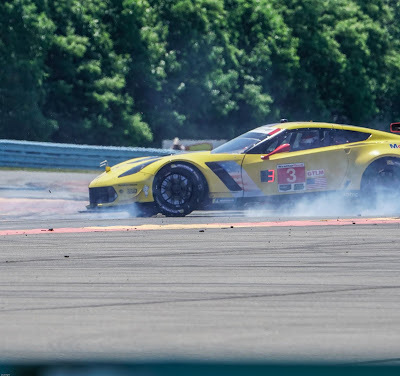 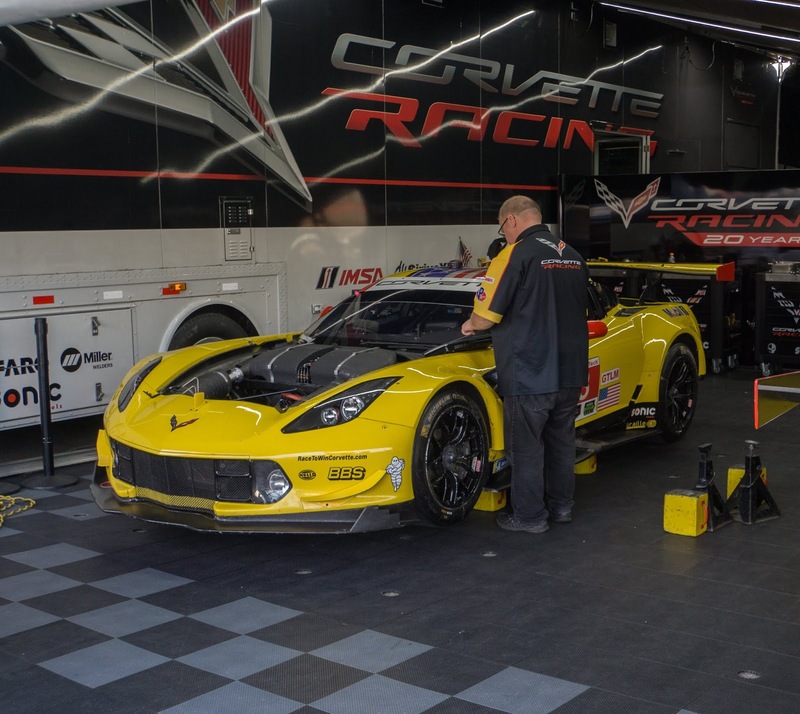 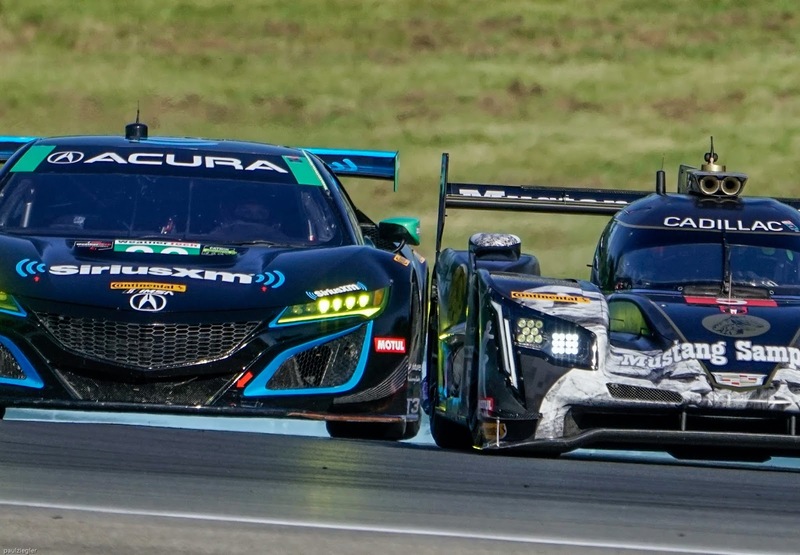 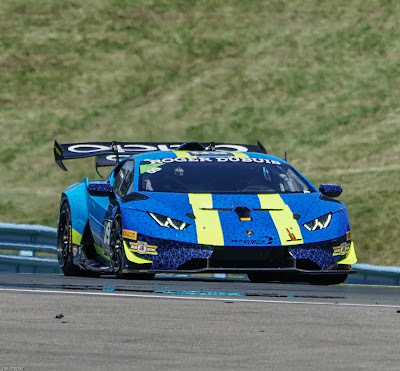 There was also plenty of action in the IMSA Continental Tire Sportscar Challenge during the entire event that started on Friday including a 4 hour endurance race on Saturday and fans were treated to races on Friday and Saturday in the Lamborghini Super Trofeo series. 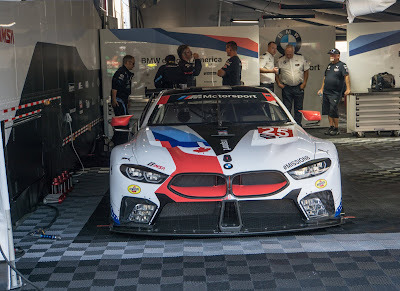 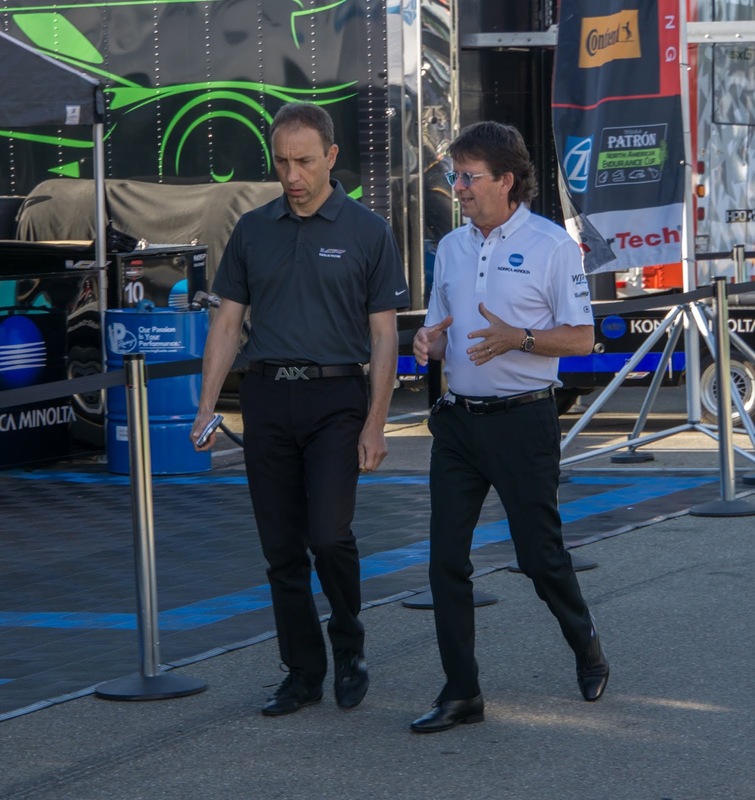 Here are pictures from Saturday and Sunday race action including the Grid Walk on Sunday and selected pictures from the garages. 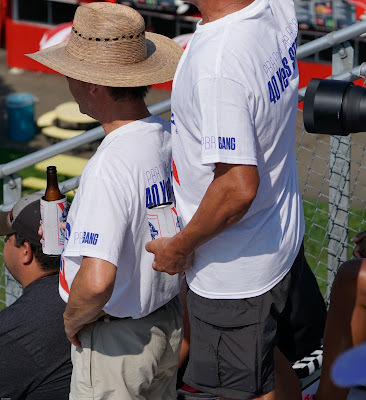 I hope you like the pictures you see- I had a great time taking them. Jordan Taylor & Your Author- 95 Degrees & He's Not Sweating! 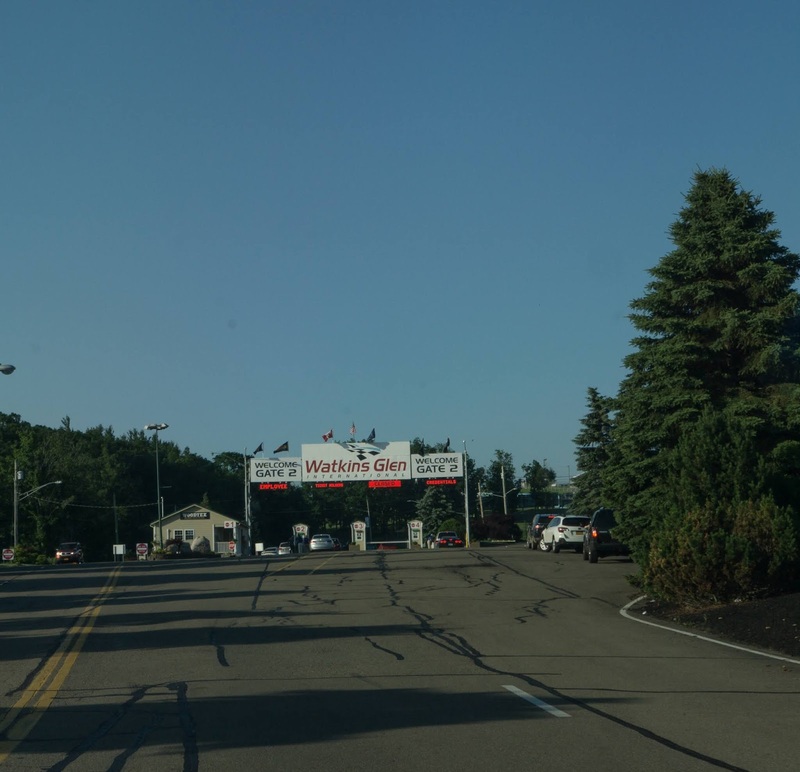 See You Next Year At The Glen!